Christmas…a day of family, friends, feasting, gifts, and trees decorated with dazzling lights, and shimmering in an otherwise unlit room. On that day, there is hardly any mention of our Savior that many of us have such a deep love and appreciation for, because of the truth that has been revealed to us by God’s Holy Spirit. Even among those of us who have come to place our trust in Christ alone as our only way to be accepted by God, there is controversy concerning if we as Christians should celebrate this day, considering the fact that December 25th is actually a pagan holiday in which the pagan god Mithra, among many other gods, is worshiped. But even though God’s Word never tells us to remember or to celebrate Christ’s birth, and actually tells us not to practice the ways of the pagan nations, (Deuteronomy 18:9-15) shouldn’t we stop and give glory to God for what He did on that day? For even God’s angels filled the sky that night to proclaim the birth of the Savior that God had provided to make a way for us to be redeemed from the sin that holds us all captive. Christmas mainly focuses on Santa Claus, who sadly has been given the attributes of God…”He sees you when you’re sleeping, he knows when you’re awake, he knows when you’ve been bad or good, so be good for goodness sake…” Even children are told, “You better be good, or you won’t get any presents from Santa.” One day I heard a mom say that to her child, and in that moment, it made me realize why sometimes it’s so difficult for someone to receive salvation… a gift that is freely given and received, and we don’t have to work for it or earn it, even though it was paid with the high and costly price of the blood of Christ. Because I never wanted my children to doubt the existence of God, I felt it was extremely important to tell them when they were barely old enough to understand, that there was no Santa who brought gifts on Christmas Eve. How could I expect them to believe there is a God they can’t see, if I would choose to tell them there is a Santa who comes riding in a sleigh in the sky to their home in the middle of the night to bring them gifts? One day they would find out that Santa, whom they could never see bringing their gifts, was not real, and I wanted them to always believe they could trust me, and that all I shared with them would always be the truth. Yes, I played imaginary games with them, but when it comes to risking their trust in what I tell them about God, to me there was no other choice. I remember how I felt when I first found out that Santa was not real…I was disappointed at first, but more than being disappointed, I remember being very angry at my parents for a while, because in my mind they had deceived me and lied to me. I did not want my children to ever doubt the reality of God, or my word, so I knew I had to tell them the truth. And of equal importance, I told my children the truth to honor God and to keep the focus on Christ at Christmas. After all, He is the reason for the season, in spite of the controversies over Christmas. I have many fond memories of Christmas when I was a little girl. One special moment stands out in my mind…One day my family and I were all preparing for Christmas. Our nativity set was placed on the stereo, and the song ‘O Holy Night’ began to play. That has always been my favorite Christmas song. I was all alone in the dining room at the time, and when the part in the song would come where it says, “Fall on your knees, ” I would drop to my knees and sing the words of the song from a heart filled with love to God, thinking about how special that night must have been when Jesus came to this earth. Since I became a Christian, Christmas, and Easter, (another highly debated day to celebrate or not to celebrate) have taken on whole new and deeper meanings! Through God’s Word and by His Holy Spirit, I have come to understand that Jesus, being God in the flesh, came into this world to set us free from the sins that hold us all captive, by living the perfect, sinless life we could never live, to one day become the sacrificial lamb that God would provide to pour out His wrath upon. 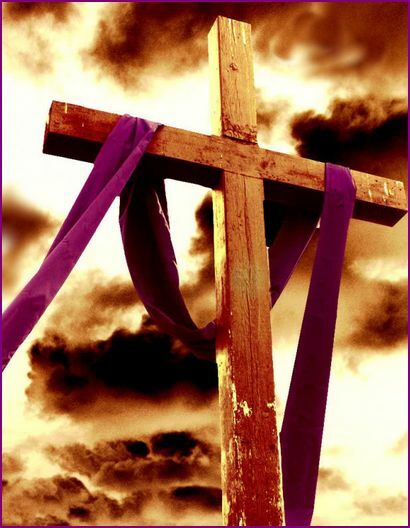 Jesus died in each of our places, taking the wrath intended for each of us, because of our sins, upon Himself. Last Sunday, December 12, 2010, as the worship band led us in the song ‘O Holy Night,’ my mind went back to that day when I was a child singing that song, and how here I was now with God having given me a full understanding of why Jesus came to this earth! My eyes filled with tears, as I now sang that song, having such an intense love for God and a deep appreciation for the extent He went to, so that the barrier of sin that separates each one of us from a perfectly Holy God, would be torn down, and that we might know the depth of the love that He has for each one of us! And on a personal level, I was moved to tears at the thought that He chose to reveal His love and truth to me! That song is even more meaningful to me today: whatever night Jesus was born on, He was and is God in the flesh, who came to dwell among us, and to save us from our sins! Jesus…Immanuel– God with us! O holy night! O night divine! In closing, I would just like to say that each one of us need to seek God concerning if we should celebrate Christmas or not. If your desire is to honor God, and you can still have a godly attitude in sharing your convictions about not celebrating Christmas in such a way that it is done with gentleness and with respect, and you still choose to make the most of this time of year to share the gospel that can lead someone to come to know they have a sin problem, and can share the hope that is found in Christ alone, then fine. However, if we get to the point where we sound self-righteous and have a critical spirit, and are so “heavenly minded that we are no earthly good,” as the saying goes, and we are repelling instead of reaching those who do not yet know the gospel, then it can be seen as something that maybe Satan is responsible for. Maybe he is bringing about division in this way to get our focus off of Christ in order to make us ineffective in reaching those who need to know about God’s gift of salvation that He gave to us. The gift that expressed the depth of the love that He has for each one of us when He gave us His Only begotten Son. He gave us Jesus, beginning the very night He was born to be our Savior…no matter when that night may have been. May true peace and hope that comes through receiving Christ alone, be yours this Christmas and in the New Year to come. I would appreciate any constructive criticisms or encouraging words you may have to share with me. My goal in writing this book is to reach young girls, or anyone who is seeking love in all the wrong places. In doing so, many find themselves getting involved with someone who only ends up bringing heartache and pain into their lives, instead of seeking God’s love first, which is the main love that can only fill the void that each one of us who do not yet know Christ in a personal way has. We try and fill that void with the pleasures of this world, whether it is in material possessions, such as a new car or home, or through drugs, sexual intimacy/satisfaction outside of marriage, or in finding a new job, position, or a promotion in an attempt to give us meaning, purpose, and fulfillment, or in many other ways too numerous to mention. In the future, I will not be writing as many poems, (maybe just one every month or so) so I can get my priorities in order, and so I can also get back to writing my book, and will self-publish, Lord willing, when it is complete.